The Week Leading Up To… Sunday, January 12, 2014. Having learned the joyful message of the Resurrection from the angel the women disciples of the Lord cast from them their parental condemnation. And proudly broke the news to the Disciples, saying: Death hath been spoiled; Christ God is risen, granting the world Great Mercy. 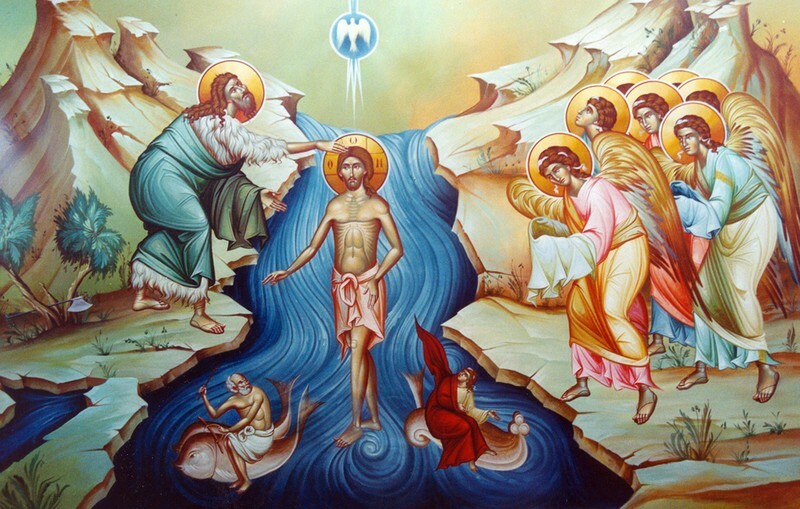 When Thou, O Lord, wast baptized in the Jordan, worship of the Trinity wast made manifest; for the voice of the Father bore witness to Thee, calling Thee His beloved Son. And the Spirit in the form of a dove confirmed the truth of His word. O Christ our God, Who hath appeared and enlightened the world, glory to Thee. Let Thy mercy, O Lord, be upon us. Rejoice in the Lord, O ye righteous. She was the daughter of a wealthy Roman consul. 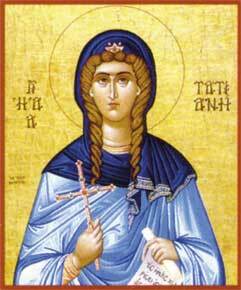 She became a deaconess in Rome, and was seized as a Christian during the reign of Alexander Severus. Before the tribunal she fearlessly confessed Christ and, when she was taken to the temple in an effort to force her to make sacrifice, she cast down the idols by the power of her prayer. At this, the soldiers seized her and subjected her to many indignities and tortures, finally throwing her into a raging furnace. When this did not harm her, she was thrown to the wild beasts, but they refused to harm her. At last she was beheaded and thus gained her crown. He came from a noble Northumbrian family in Britain, and was tonsured a monk in 653 at Lerins in Gaul. In 669 he was made Abbot of the Monastery of Saints Peter and Paul in Canterbury. He traveled to Rome in 671 to be instructed in monastic practice according to the Rule of Saint Benedict (of Nursia). Returning to Northumbria he established two new monasteries, the first to follow St Benedict’s Rule in the British Isles. 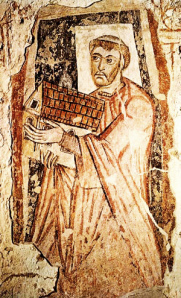 He went to Rome once again in 678-679, this time bringing back the archcantor of St Peter’s, who taught the monks of St Benedict’s monasteries the chant and liturgical practices used in Rome. Under the holy abbot’s guidance, these monasteries became flourishing centers of Christian worship, scholarship and art. The Venerable Bede (May 26) was one of his disciples. Saint Benedict reposed in peace in 689 or 690, having greatly strengthened the Church and the Christian faith in Britain.